Stairway to heaven. 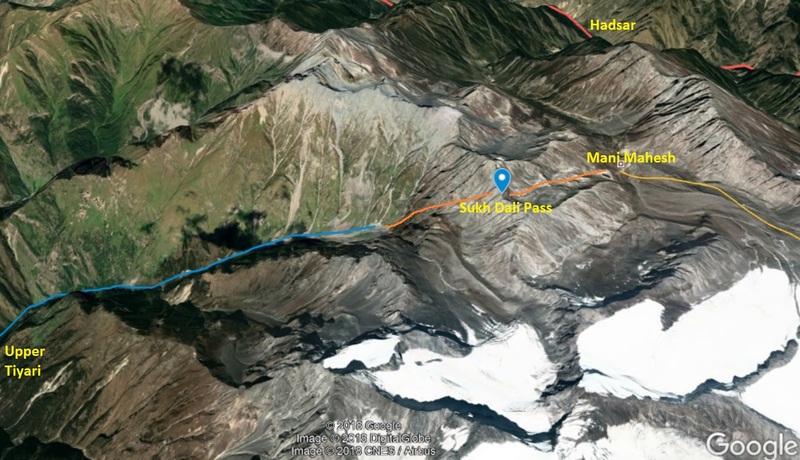 Steep trail carved out of rocks leading to Siva's Adobe, Mani Mahesh Kailash through the Sukh Dali pass (4650m). Everywhere water falls are dropping down from the heavens along the vertical cliffs. 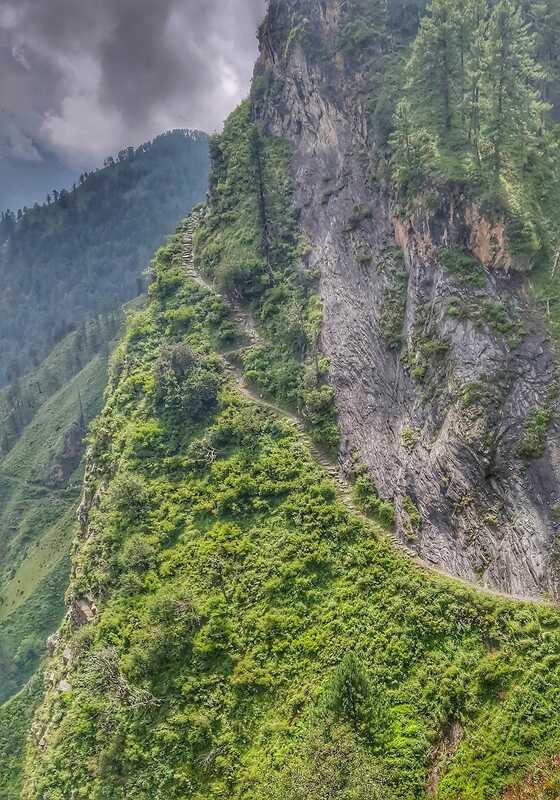 The trail is dotted with colorful alpine flowers on its way down from the pass into the lower Chamba valley. 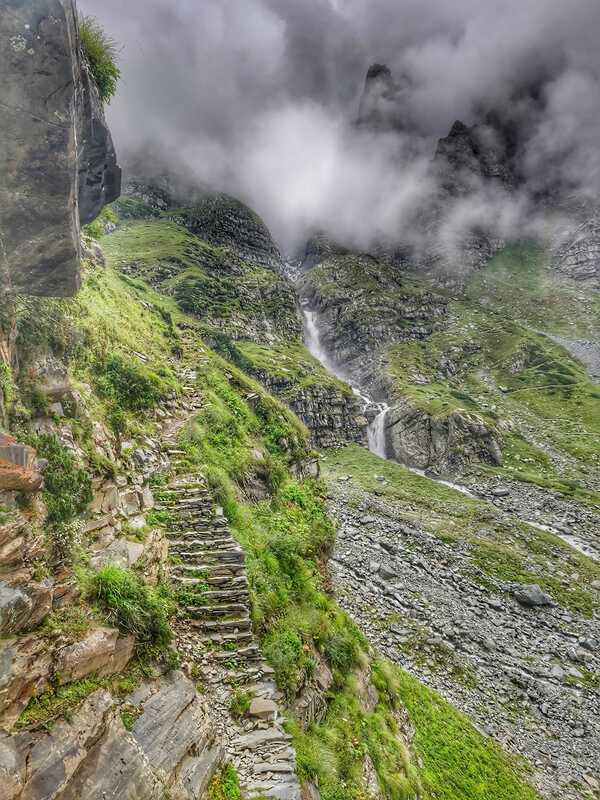 The steep trail used by pilgrims on their annual Yatra from lower Chamba toMani Mahesh Kailash through the Sukh Dali pass (4650m). Carved out of the steep valley slopes offering stunning views on the pine forests below. 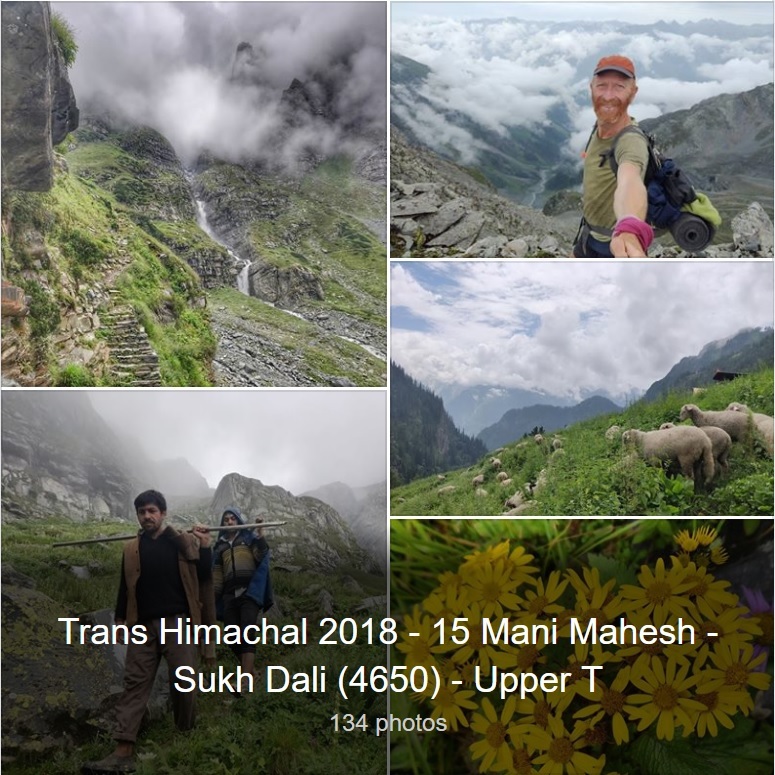 Join me for a short rocky trail run down the Sukh Dali pass (4618m) down from Mani Mahesh Kailesh into the beautiful Chamba valley among steep rock faces, misty clouds, glaciers and vertical falls. 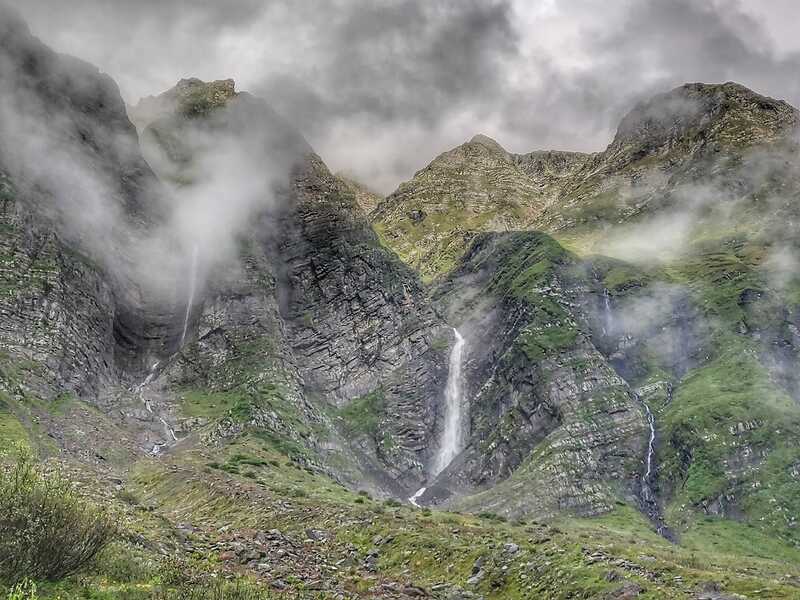 Glacial streams falling down steep cliffs beneath the Sukh Dali pass peaking into the clouds. A steep pilgrim trail climbs up along these cliffs towards Siva's Adobe at Mani Mahesh. 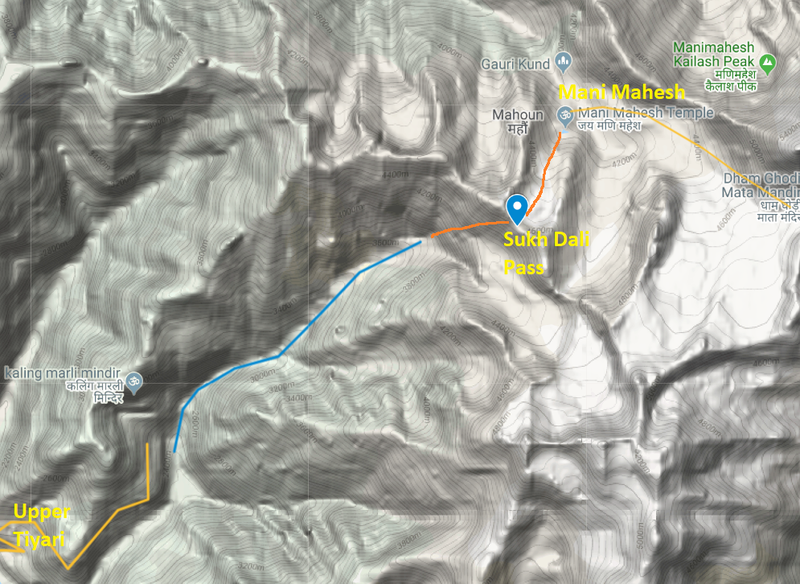 A 360 degree view from the Sukh Dali pass (4700m) on the way from Mani Mahesh to Holi village in the Chamba valley. Bird's eye view above the clouds on mount Kailash, far away snow peaks, rocky ridges and glaciers. 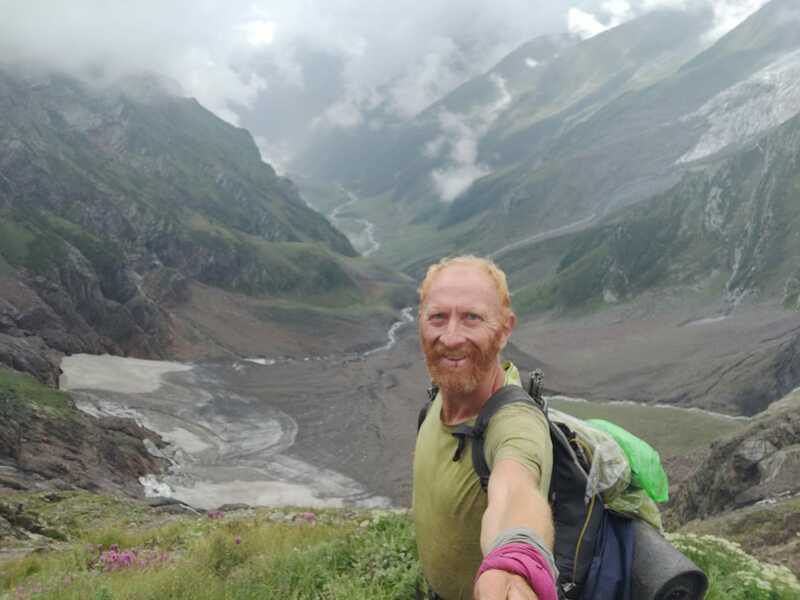 Stunning vertical cliffs and unexpected company on the way down from Siva's adobe through the Sukh Dali pass (4650m). The pilgrim route is repaired and marked every year by the local villagers. 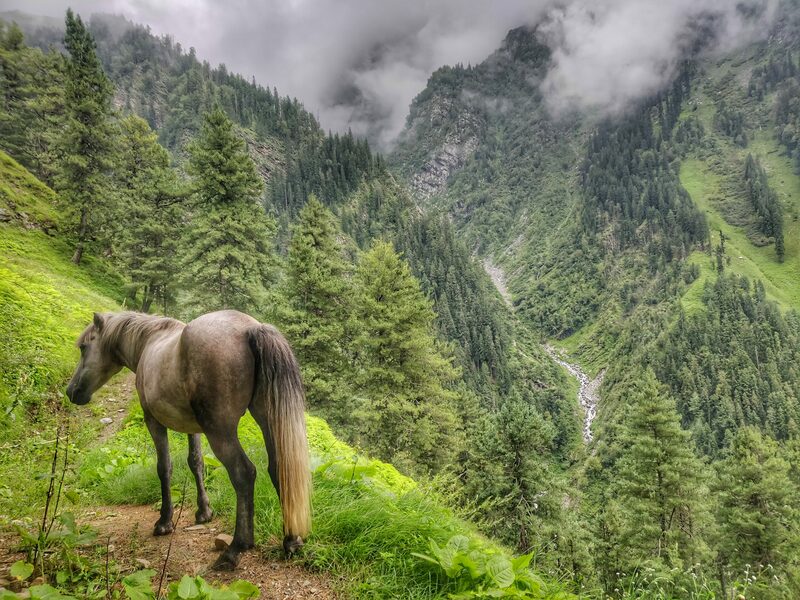 After the initial steep descend from the pass steeply the trail drops moderately through meadows and forests well above the stream in the valley. The trail remains at the right side (downstream) and finally runs along steep slopes offering mesmerizing views on the valley far below. After crossing a smaller hamlet you finally reach the scenic village of Upper Tiyari where friendly residents welcome you with food and stay.